Translating her success in corporate management to filmmaking, Ruth Evelyn has married her business, freelance and creative skills into her favorite passion - storywriting! Currently a new kid on the entertainment block, Ruth is studying the craft of filmmaking and bringing a new level of understanding that contributes to the improvement of her screenwriting skills. 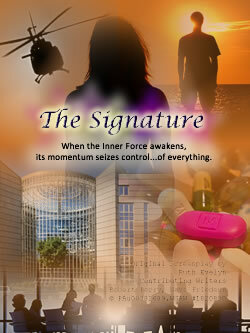 In Development﻿ with Producer/Casting Director, Gerald I. Wolff, The Signature is Ruth Evelyn's first film producing endeavor. 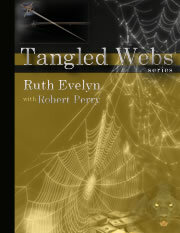 Tangled Webs is Ruth Evelyn's first screenwritten story. 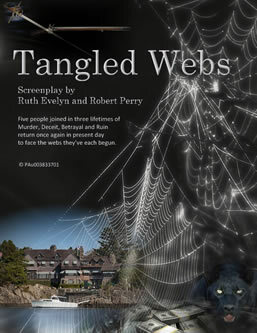 After re-weaving the intense cross-century timeline of this suspense-filled thriller with writing partner, Robert Perry, they have begun collaboration as the Producers to bring this exciting story to the film-loving audience. Unaware her inner light has increased, Becka Taylor’s good life suddenly twists out of control when she becomes the catalyst of truth in a world of lies, secrets and the intimate betrayal of those she holds dear. Five people joined in three lifetimes of betrayal, deceit, abandonment and murder, meet once again in present day to face the webs they have spun.